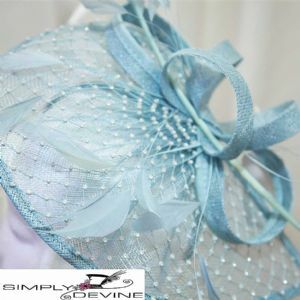 Lovely sparkly hatinator in pale blue, trimmed with diamante, feathers,curls and a pale blue quill. 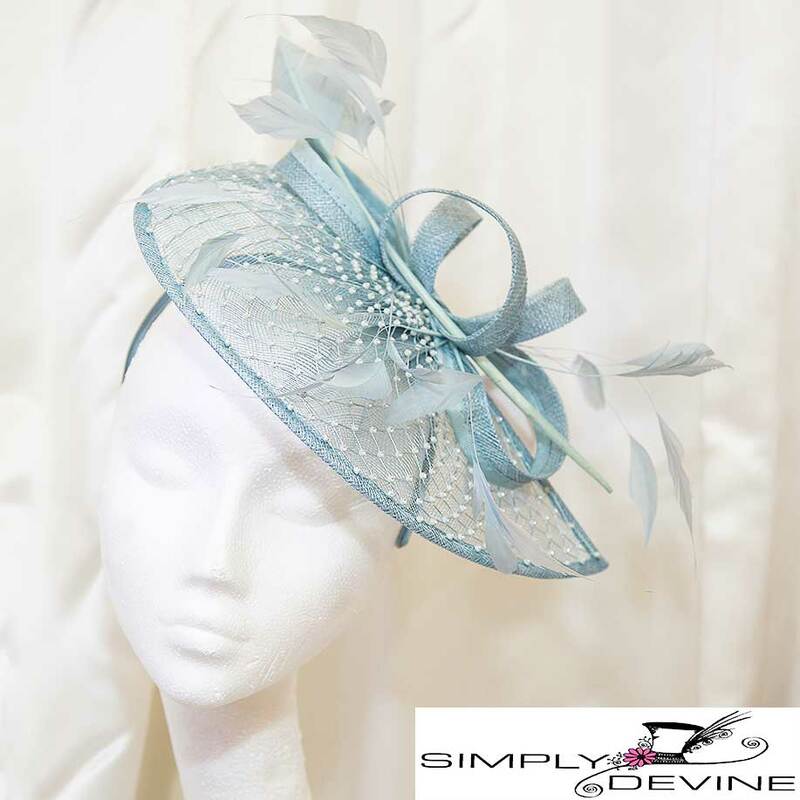 This is in this season's beautiful shade of baby blue - with added interest. 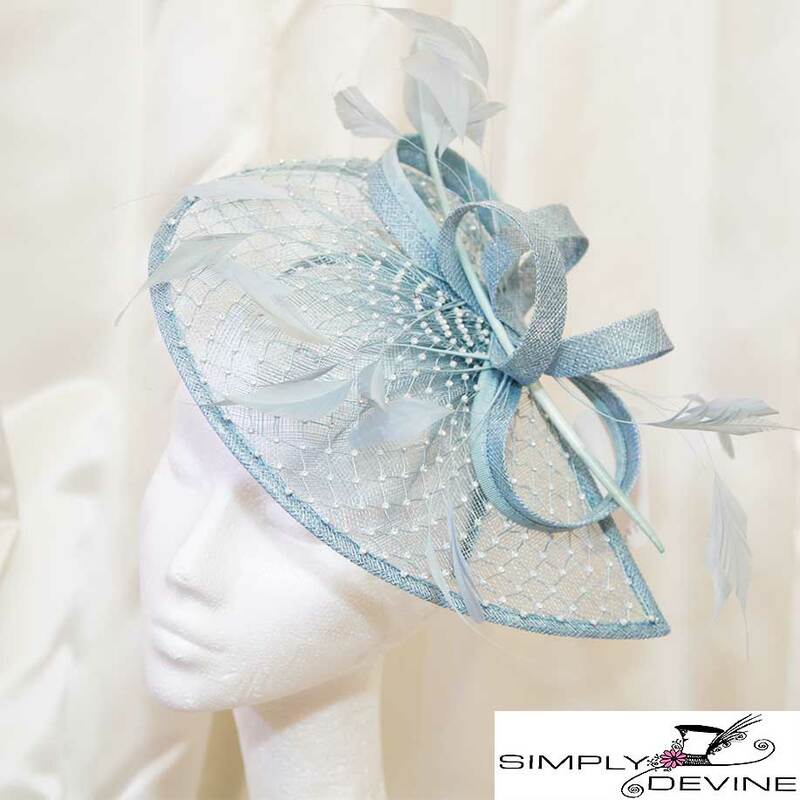 This would be fabulous for a mother of the bride or groom and would also allow you into the Royal Enclosure at Ascot, having a suitable base, and sitting on a comfortable satin band for all day comfort. 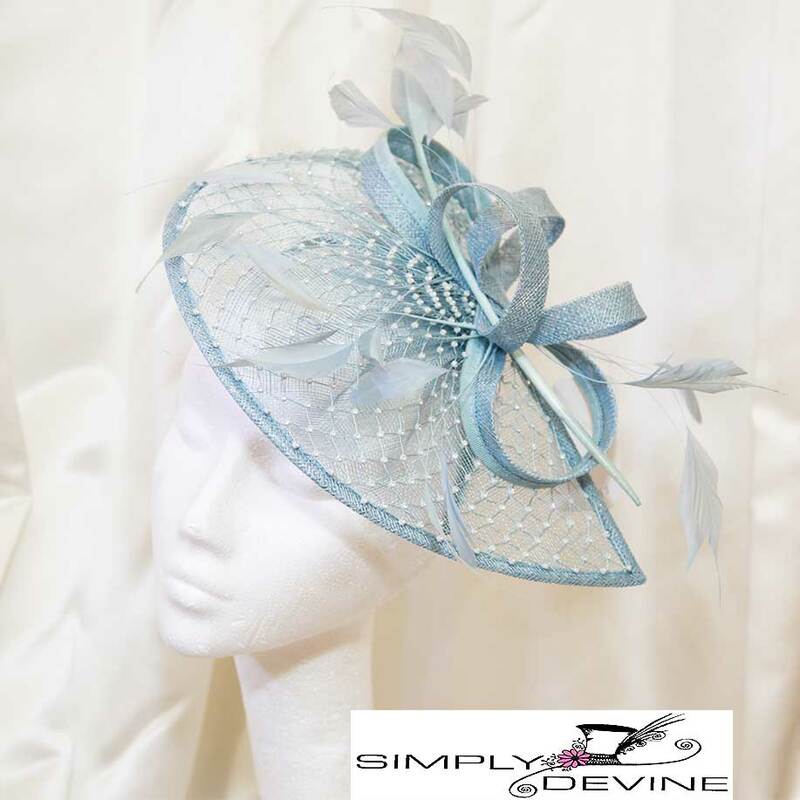 This piece is also available in other colours.